In 2007, as a blogging toddler, the Dividist despaired at finding a unique approach to writing about the SOTU when so many other bloggers would be traversing the same ground. The answer came from Bob Woodward. In an on-line Washington Post forum the Dividist asked whether the SOTU had any real relevance. Woodward responded by saying it was "mostly theater." Genius. That was the answer. What better way to frame SOTU social media reactions than within the lyrics of a Broadway show tune? The game is to start with a Broadway song and then find blog posts, news stories, tweets, essays and commentary that can be vaguely referenced in the song and link them to the lyrics. It keeps the Dividist awake and blogging throughout the speech without distracting too much from the mandatory drinking games. 2008 - "Georgy Girl Boy". 2009 - "Razzle Dazzle" from "Chicago"
2010 - "The Wizard of Oz"
2012 - "Do you hear the people sing?" from Les Miserables"
2013 - "I don't know how to love him" from "President Obama Superstar"
2014 - "How to Succeed as President Without Really Trying"
2015 - "Let It Go" from "Frozen"
2016 - "Bye Bye Barry"
2017 - Skipped - I couldn't deal with it. 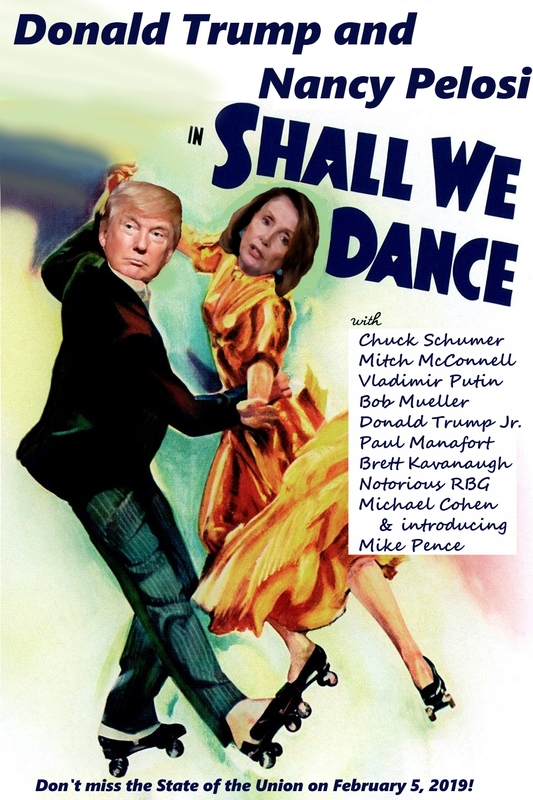 2018 - "Springtime For Donald and America" from "The Producers"
And now, for 2019, our 13th year of singing and dancing our way through the State of the Union, and after a midterm where the American voting public emphatically restored divided government, we find the only appropriate musical entry for the emerging Donald Trump & Nancy Pelosi pas de deux to be the Gershwin's "Shall We Dance." 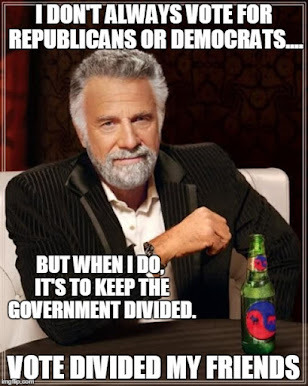 Our brand spanking new divided government is only a about a month old. 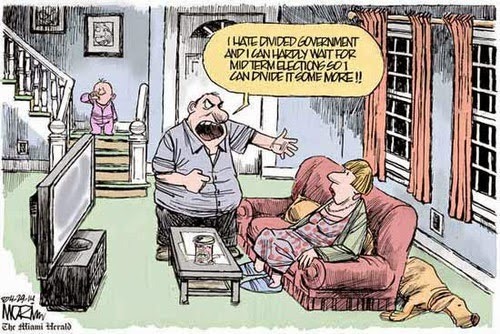 So far we've had: the longest government shutdown in the history of the Republic; another shutdown looming a few weeks away; and the President threatening to declare a National Emergency to fund a southern border wall that he couldn't be bothered to fund with a Unified Republican Government over the previous two years. Most entertaining in the prelude to the big show was the coy on-again off-again / will-she won't-she / boy meets girl - boy loses girl - boy wins girl (sort of) flirtation over the scheduling of the speech. But the show must go on. Tonight's featured song from Shall We Dance is "Let's call the whole thing off". We'll post the lyrics now, update with links to live-bloggers, pundits, twitteratti, analysts and reporters before, during and after the speech. It'll be over when we get tired of the speech or too drunk to type.